If you're grappling with how best to communicate with your current or potential members, we can help. We will apply our experience and our willingness to get under the skin of your sector to convey your messages, benefits and expertise with freshness and flair. Our report, The Content Conundrum, investigates the pros and cons of keeping your content for members only or sharing it more widely. We know that professional bodies, trade associations, charities and other membership organisations can have specific and nuanced communications challenges. Often this involves negotiating with a complex network of stakeholders. CIBSE (The Chartered Institute of Building Services Engineers), CIM (The Chartered Institute of Marketing) and CTSI (The Chartered Trading Standards Institute) are some of the membership bodies CPL works with. 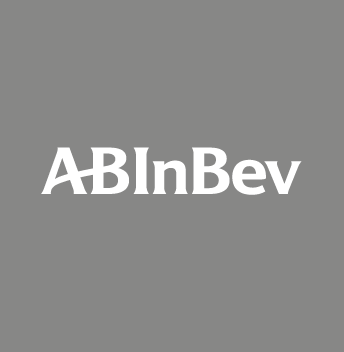 CPL works with high-profile corporates including AB InBev, AstraZeneca, EY and Bourn Hall. We focus on getting to know what it is you want to say to your audiences (including clients, customers and employees), then create engaging ways in which to deliver your message. Our specialism is in crafting written or video copy in the right tone of voice and with your communications priorities firmly in mind. We work with companies in a variety of ways: every project really is different. For some we write; for some we design; for some we develop video and digital projects. And for others we do all three, and sometimes more. Certain clients require communications and marketing material that convey their story to a specialist audience. For Darley, our dedicated team of designers and developers produce marketing material for every aspect of its global operation. Engaging websites, stunning hard-backed catalogues, signage and direct marketing material, and daily story-led advertising are just some of the projects we undertake for this world-renowned bloodstock breeding brand. Meanwhile, the brochures we created for luxury retailer Fortnum & Mason saw online hamper sales increase to record levels. Of course results are what matter. So, what you want to achieve is uppermost in our minds when we conceive, plan and execute work in this sector. We’ve worked closely with CPL for several years and have developed a really productive partnership. The sales team at CPL fully understand our organisation, provide excellent customer service to both ourselves and our members, and exceed their targets. And they’re fun to work with too. We have a great relationship with the team at CPL. The aim was always for them to manage and develop our advertising content and that’s exactly what they do. We’re delighted by CPL’s work on our new digital content. The print version has consistently been voted our top member benefit and the digital magazine and newsletters allow us to build on that success.